Just a sampling of the photos from that wonderful night thanks to The Royal BB Girls & gGirl Productions! The Royal BB Girls and gGirl Productions hosted The Age of Enlightenment Ball at the Founders Inn in Virginia Beach, VA. with furbabies from all over the United States in renaissance costumes for humans and their four-legged babies. Gowns that were beautiful designed to fit perfectly on each dog. The pooches strutted their stuff down the runway in Swarovski crystals & glittering beads, beautifully handsewn on to long layers of brocaded and silk fabric to compete against each other for bragging rights, all to raise money for Lady's Grace - a local non-profit that works with heroes at home - all military, whether in the Navy, Army, Coast Guard or Marines - to help these service men and women and their pets! Congratulations to all of these Fantabulous Winners!! The Royal BB Girls & gGirl Productions put these events on to raise money for nonprofits helping furbabies. The Enlightenment Ball raised money for Lady's Grace, a 501c3, that helps local military families through services, mentorship, and outreach. They help military veterans, feed the hungry, save a shelter dog, and give a service dog to someone in need! STAY TUNED FOR MORE PHOTOS from Sunday's Peasant Brunch at the Founder's Inn. Check out a few favorite photos from the Saturday night and the video with highlights from the whole night. For attendees who purchased the Full Event CD - we are working on the rest of the weekend's festivities - you will receive an email with a downloadable link for all lo-res social media images of you to share online plus the CD of ALL candids and yours and your furbabies photos, via the mail! Photos from that night are available as Lo-Res Social Media Files, Digital Files (8x10 Size) with unlimited print permission, 5x7 or 8x10 prints including enhanced retouching. If you would like to purchase ALL the LO-RES Social Media Files - the DVD of all is still available for $200. Contact the studio to place orders direct. 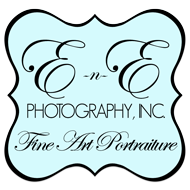 Certified Professional, Master Photographer, Erin Clark, is a full time, full service studio photographers. She spends several weeks each year in the Pacific Northwest where she has most of her side of the family. The rest of the year, she resides in the city of Virginia Beach with her retired US NAVY, husband, Eric (the other 'E' in E-n-E), their son, three pups & 2 cats, spending most days at the London Bridge studio. If you are not in the Virginia area and are looking to book a session with Erin anywhere worldwide, check out her next travel dates to the PNW:August/September TBD., June 16-18th in Vegas, August 1-7th in Keywest! Talk to us about coming to you anytime - have camera, will travel to take care of any of your portrait needs!